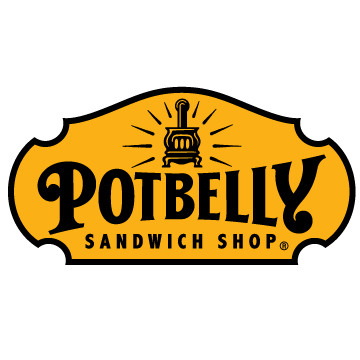 A Potbelly Sandwich Shop opened in the Kitsap Mall food court this week, marking the sandwich chain’s entry into the West Sound market. 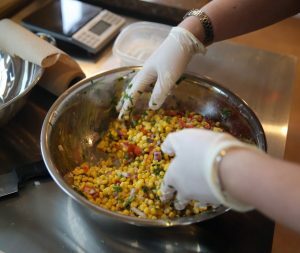 Potbelly offers hot sandwiches, soups, salads and hand-dipped milkshakes, according to a news release. 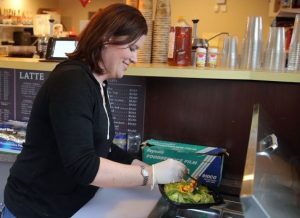 The Silverdale shop is managed by East Bremerton native Mike Young and employs about 30 people. Potbelly shops often feature live, local music. Interested performers can contact Young and schedule an audition. Chicago-based Potbelly has 10 Seattle-area locations, and more than 360 shops nationally. The fast-growing chain expected to open about 50 shops this year, with plans to eventually build 1,000, according to a 2014 annual report to shareholders. The Silverdale store is open 11 a.m. to 9 p.m. Monday through Saturday, and 11 a.m. to 6 p.m. on Sunday. Delivery service will start a few weeks, according to the release. Which restaurant chain are you most excited about having in Kitsap?